On March 28, a White House press conference turned into a battlefield. The contestants: White House Press Secretary Sean Spicer vs. April D. Ryan, the White House correspondent and Washington bureau chief for American Urban Radio Network. Spicer: But at some point, the reality is that this president continues to reach out to individuals who’ve supported him, who didn’t support him, Republicans, Democrats, to try to bring the country together and move forward on an agenda that’s gonna help every American. That’s it. Plain and simple. [On March 4, he libeled Barack Obama in a series of tweets, accusing the former President of illegally wiretapping his phones at Trump Tower. Since making that accusation, Trump has offered absolutely no proof to back it up. So, if you’re asking what we’re doing, I think we continue to do it. 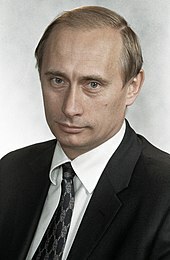 Which is to bring groups together that have been supportive of him, that haven’t been supportive of him, but that to share a goal which is finding common ground on areas of national security, of personal security, of economic security, of job creation, of safer communities, of education, of healthcare, that can unite us as a country and make the country stronger. [It’s ironic that Spicer would say the administration’s goal is “finding common ground on areas” such as “healthcare.” Trump’s version of “repeal and replace” for “Obamacare” totally ignored any input by Democrats. On March 23, the House failed to pass Trumpcare because Republicans couldn’t agree to support it. Trump’s admiration for Russian President Vladimir Putin has been well-established–by himself. As President, Trump has defended the leader of the Communist world against hostile journalists and American Intelligence agencies. TRUMP: “Well, I respect a lot of people but that doesn’t mean I’m going to get along with him. He’s a leader of his country. I say it’s better to get along with Russia than not. Trump launched his Presidential campaign on June 16, 2015. According to The New York Times, by late October, 2016, he had aimed nearly 4,000 insulting tweets at 281 targets. Considering his hair-trigger temper and willingness to insult virtually anyone, Trump’s careful, even fawning attitude toward Vladimir Putin stands out. It was the verbal equivalent of a prizefight. In one corner was April D. Ryan, the longtime White House correspondent and Washington bureau chief for American Urban Radio Network. In the other corner was Sean Spicer, White House press secretary for President Donald J. Trump. The FBI, CIA and National Security Agency have officially stated that Russian Intelligence played a major role in trying to sway the election for Trump. Trump has repeatedly attacked the “fake news” media reporting these revelations. Chief among his targets: CNN, The New York Times and The Washington Post. On March 28, disgusted with the administration’s stonewalling and outright lying, reporter April Ryan directly confronted Sean Spicer at a White House press conference. Spicer: No, no, no. I get it. But you keep — I’ve said it from the day that I got here until whatever that there is no connection. You’ve got Russia. If the president puts Russian salad dressing on his salad tonight, somehow that’s a Russian connection. But every single person. No. Well, no, that’s … I appreciate your agenda here. But the reality is … oh no, no. Hold on, no, at some point, report the facts. The facts are that every single person who has been briefed on this subject has come away with the same conclusion. Republican, Democrat. Spicer: But understand this. At some point, the facts are what they are. And every single person who has been briefed on this situation with respect to the situation with Russia, Republican, Democrat, Obama-appointee, career, have all come to the same conclusion. At some point, April, you’re gonna have to take no for an answer with respect to whether or not there was collusion. Spicer: We’re going to keep doing everything we’re doing to make sure that the president’s — that what the president told the American people he was going to do, to fulfill those pledges and promises that he made, to bring back jobs, to grow the economy, to keep our nation safe. That’s what he’s been focused on since day one. We’re going to keep focusing on that every single day. 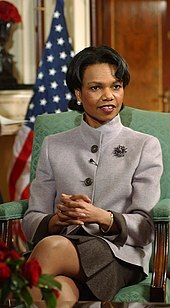 Ryan: Condi Rice [Secretary of State under President George W. Bush] comes Friday. Condi Rice did not support this president. She did not go to the convention. She comes, what is on the agenda? And how is their relationship? Has it healed since 2006 when he used a very negative word to describe her? Ryan: He called her a negative name in 2006. Spicer: But, April, hold on. It seems like you’re hellbent on trying to make sure that whatever image that you want to tell about this White House stays, because at the end of the day. Let me answ …. Spicer: Okay, but, you know what, you’re asking me a question and I’m going to answer it. Which is, the president, I’m sorry, please stop shaking your head again. But at some point, the reality is that this president continues to reach out to individuals who’ve supported him, who didn’t support him, Republicans, Democrats, to try to bring the country together and move forward on an agenda that’s gonna help every American. That’s it. Plain and simple. During the 2008 Presidential race, Republican Vice Presidential candidate Sarah Palin turned slander into an art form. Her most poisonous charge: That Democratic Presidential nominee Barack Obama would make “death panels” a part of his proposed healthcare program. But in 2012, she supported a candidate–Mitt Romney–who made his fortune through the “death panels” of his investors. In 1983, Bill Bain, a management consultant, gave Romney a risky assignment: Launch Bain Capital, a private equity offshoot of his profitable consulting firm Bain & Company. But there was a catch: Romney couldn’t raise money from Bain’s current clients. If the private equity venture failed, the consulting firm mustn’t disappear with it. Romney and his partners considered a wide range of options. Finally, they settled on one: A group of oligarchs from El Salvador were seeking new investment opportunities. Romney decided to meet with them. He flew to Miami in mid-1984 and met with the Salvadorans at a local bank. Both sides left happy with their arrangement. The Salvadorans invested about $9 million–40% of Bain Capital’s initial outside funding. Among those investors: Ricardo Poma, Miguel Dueñas, Pancho Soler, Frank Kardonski, and Diego Ribadeneira. Two other wealthy and powerful El Salvadoran families–those of de Sola and Salaverria–also became founding investors in Bain Capital. Determined to retain their privileged status, members of these families were directly or indirectly funding right-wing death squads in El Salvador. The squads’ targets were reformers and left-wing guerrillas. According to a United Nations study, at least 75,000 were killed in the Salvadoran civil war between 1979 and 1992. By 1982, 35,000 civilians had been murdered–with right-wing death squads responsible for most of the killings, stated El Salvador’s independent Human Rights Commission. Much of this carnage happened during the Reagan Administration (1981-1989), when right-wingers in Washington found common cause with those in Central America. Romney’s highly lucrative dealings with men linked to Central American death squads have been verified by such publications as the Huffington Post, the Los Angeles Times, the Boston Globe and the Salt Lake Tribune. A major reason why Romney refused to release more than two years’ worth of his tax returns could have been this: He had more to hide than just how little in taxes he had paid. Some of those financial disclosures might lead–literally–to hundreds or even thousands of bodies dumped into unmarked graves throughout El Salvador. The most prominent victim of those right-wing death squads was Oscar Romero, the archbishop of San Salvador. A longtime champion of the poor, he was celebrating Mass on March 24, 1980, when he was shot to death before his horrified congregation. The murder was ordered by Major Roberto D’Aubuisson, founder of the right-wing Nationalist Republican Alliance (ARENA) party. After Obama’s election as President in 2008, Republicans bitterly opposed his efforts to provide all Americans–and not simply the richest 1%–with healthcare insurance. 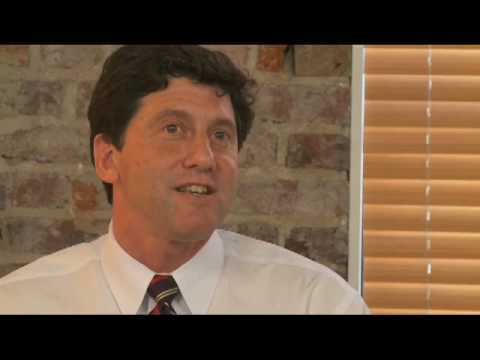 Those efforts ultimately bore fruit as the Affordable Care Act–otherwise known as Obamacare. As one of those Republican opponents, Sarah Palin repeatedly claimed that Obama intended to create government “death panels” to murder elderly and disabled patients. Although she never offered a shred of evidence for this allegation, millions of American right-wingers eagerly believed it. On the other hand, multiple and reputable sources demonstrated how Mitt Romney made money through men who either commanded death squads or were linked to others who did. But Palin never had a single word of criticism for the man who would become the Republican nominee for President. Little is reliably known about the full extent of Romney’s complex financial dealings. That’s why his refusal to release more than two years’ tax returns became an issue that wouldn’t go away. Romney released only his 2010 returns and an estimate for his 2011 returns. But his own father, Michigan Governor George Romney, released 12 years of tax returns during his 1968 run for the presidency. Perhaps Romney had nothing to hide and refused to release his tax returns out of sheer stubbornness. But if he were truly innocent of any wrongdoing–financial or otherwise–then it would have been in his own best interests to make the returns public. And as quickly as possible. This is, after all, a longstanding tradition among candidates for President. And doing so would have instantly squelched rumors and accusations that he had something sinister or embarrassing to hide. Instead, Romney and his wife, Ann, acted as though the White House belonged to them by divine right. And that no one had the right to ask them any questions they didn’t want to answer. Romney could have followed the sterling example set by his father–whom he clearly admires–anytime he wished to. Americans may never know if “the man from Bain” has the blood of Archbishop Romero–or other El Salvadoran death squad victim––on his hands. And if Romney does know, he isn’t saying. But Nixon and the protesters were separated by too many differences–in their views on sexuality, civil rights, dissent and war–to find common cause. Held a series of “victory rallies” with his Right-wing followers–like Adolf Hitler addressing his fellow Nazis at Nuremberg. These and other infamous actions have led to only 37% of Americans approving of his performance–while 58% disapprove. Trump’s approval rating is lower than that of any other President at this point in his first term in 72 years. Barack Obama’s rating at this point in his Presidency was 60%. One of the longest chapters–Book Three, Chapter Six–covers “Of Conspiracies.” In it, those who wish to conspire against a ruler will find highly useful advice. If one of them becomes fearful–whether it’s the one who was arrested or is still at liberty–discovery of the conspiracy is certain. The best way to avoid such detection is to confide your project to your intended fellow conspirators at the moment of execution–and not sooner. But that evening he cut short his speech and left the beer hall. Forty-five minutes later, a bomb exploded inside a pillar–before which Hitler had been speaking. This proved so inflammatory that the mourners rioted, driving the conspirators out of Rome. Soon afterward, they were defeated in a battle with the legions of Anthony and Octavian Caesar–and forced to commit suicide to avoid capture and execution. In the 1973 movie, “The Day of the Jackal,” a methodical assassin devises an ingenious plan to kill French President Charles de Gaulle. Despite the best efforts of French security forces to entrap him, he eludes them time and again–and comes within an ace of assassinating de Gaulle. 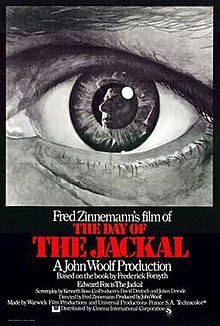 “The Day of the Jackal” is fiction, based on a 1971 novel by Frederick Forsythe. In real life, most would-be political assassins lack the skills and sophistication of Forsythe’s anti-hero. Take the case of the man who, on March 18, jumped over a bicycle rack outside the security perimeter of the White House. Within two minutes, agents of the U.S. Secret Service had tackled and arrested him. Both men will face criminal prosecution–and probably years in prison. More than 500 years ago, Niccolo Machiavelli, the father of modern political science, offered sound advice for would-be conspirators–and for rulers seeking to thwart conspiracies. Niccolo Machiavelli: When a prince becomes universally hated, it is likely that he’s harmed some individuals–who thus seek revenge. This desire is increased by seeing the prince is widely loathed. Now consider some of the tweets of “White House Staffer,” a self-proclaimed member of the Trump administration who claims 133,000 Twitter followers. Since January 27, he has blasted a series of short, information-crammed tweets about daily life in the Executive Mansion. White House Staffer: March 16: Sean Hannity was asked to be Press Secretary last week. He turned it down because he didn’t want to take the pay cut. [Sean] Spicer survives. March 1: Well the good times didn’t last long here. POTUS is back to flipping out on us. White House Staffer: February 27: [Steve] Bannon is the scariest person here. He’s broken so much White House stuff by throwing it in anger. Plates, phones, chairs, etc. February 25: The President keeps saying we’re a finely tuned machine. If that’s true why has he been fricking screaming at us all week? He’s losing it. IS HE CRIMINAL, CRAZY LIKE A FOX–OR JUST CRAZY? Former White House Press Secretary Josh Earnest has his own take on Trump’s motivation. Appearing on the March 5 edition of ABC’s “This Week”, he said: “We know exactly why President Trump tweeted what he tweeted. Fifty-two years later, it’s no longer unthinkable. For millions, it’s a terrifying reality.